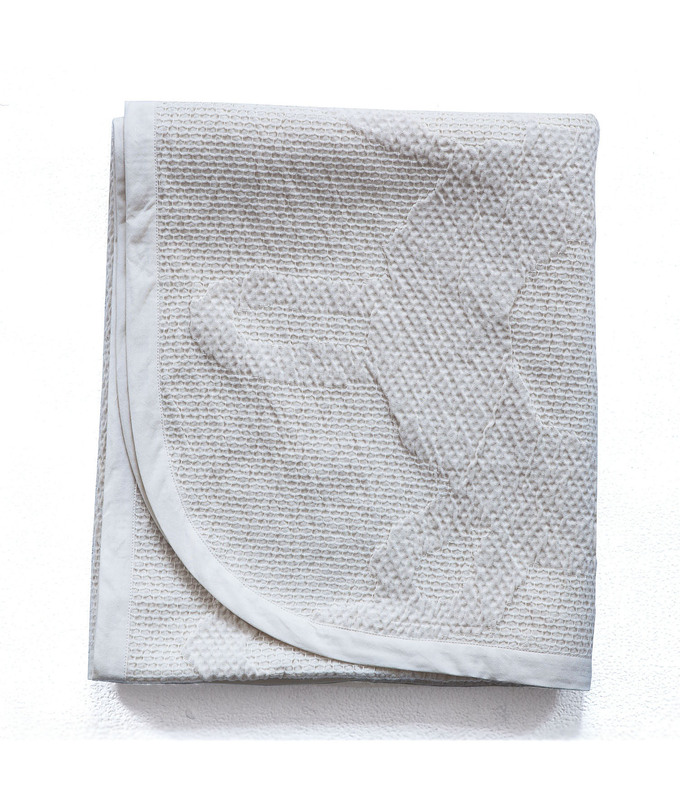 This throw is inspired by another time, a small fragment of a grandmother’s handmade lace becomes a large scale motif. 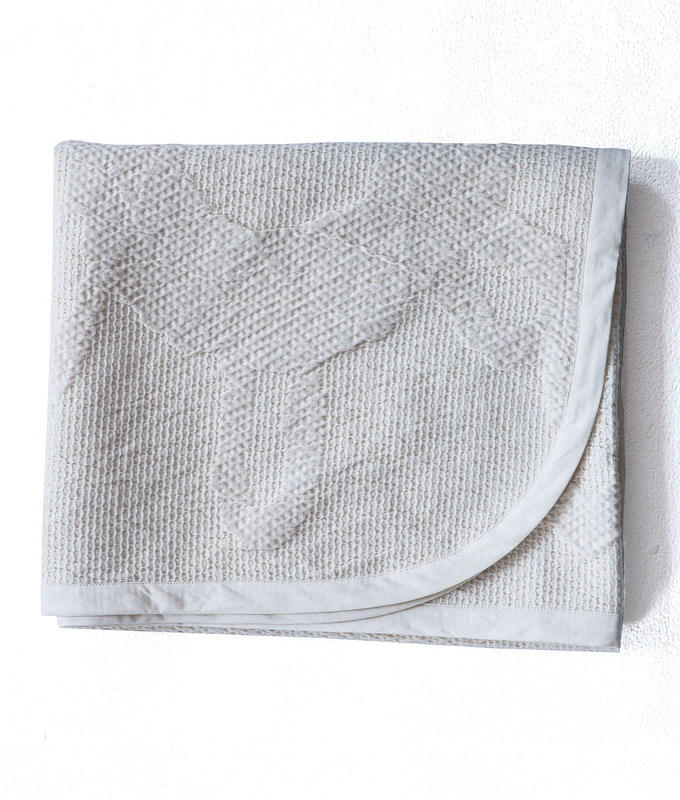 The merino wool and Egyptian Giza cotton provide dimension through our organic finishing process that allows the merino to gather the cotton, resulting in a charming ruche. The bias binding, made in-house, from Oriole fabric, is the perfect finishing touch to this exquisite throw.